As always, Anne Tyler delivers a well-written story with vividly drawn characters. A Spool of Blue Thread follows the fortunes of three generations of the Whitshank family — Abby her husband Red, and their grown children, with glimpses back into the past at Red’s parents, Junior and Linnie. The story is woven around a beloved family home and a family business that stretches across three generations, but the threads (see what I did there?) that really hold the three generations together are the two things that run through every family: love and lies. Throughout the story the Whitshank family’s many secrets are gradually revealed — some of which are quite surprising, and would be disturbing if everyone knew the truth. But the story suggests that when it comes to love and lies, you can’t have one without the other. There’s a change in point of view about two-thirds of the way through the novel that is unavoidable but jarring, and I wondered if I would continue to be as engaged with the story after that point, but Tyler is more than equal to the task of keeping a reader involved in the story even as other characters’ points of view move to the forefront. The ending of the book — which actually happens before much of the story occurs, because the novel doesn’t unfold in chronological order — is bittersweet, suggesting how complicated family relationships always are, now much love and how many lies simmer below the tranquil surface of a well-loved family home. 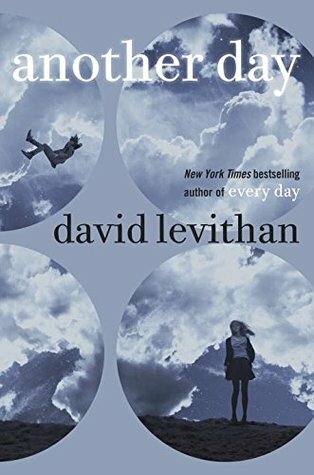 David Levithan’s Every Day was one of the most creative, original stories I’ve read in a long, long time. Another Day is a parallel novel that really only works if you read and loved Every Day. This new novel goes back through the same story, but from the point of view of Rhiannon, the girl A. falls in love with in Another Day. It is definitely not as fresh or original as Every Day, but it does fill in some blanks and answer some questions from the first book. Both books end at the same point, with the feeling that there could be more to th story, so I’m still hoping for a third volume that will take the story further and tell me what happens to both A. and Rhiannon …. The First Fifteen Lives of Harry August travels territory already explored in Kate Atkinson’s brilliant Life after Life, but in quite a different way. Like Ursula in Life After Life, Harry August lives his life, then is reborn in exactly the same place and time to re-live his life again. And again, and again, and again. Always the same starting point — same parents, same location, same birthdate. 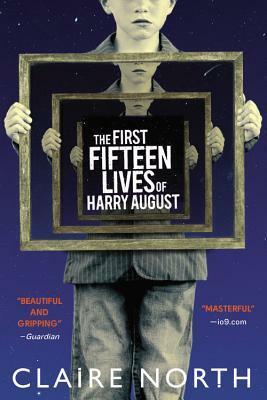 Unlike Atkinson’s main character, who only gradually begins to sense that she might be re-living her life, Harry August is aware, very early in his second life, that he has been here and done all this before, and the knowledge very nearly drives him mad. But of course, he gets another chance. The fact that Harry is completely aware of his re-lived lives changes the direction of this story, as does the fact that he is not alone — during his third life he learns that he is one of a worldwide network of such people who are living their lives over and over. They keep in touch, look out for one another, and pass useful information back through time. So in this novel, along with the reflections about the value of an individual human life that I enjoyed so much in Life After Life, there is an added sense of urgency when an emissary from the future lets Harry know that something is going very wrong in the near future, and he and others who live in the present time have to attempt to fix it. From that point on, the novel takes on the feel of a thriller, as Harry works to defeat a villain who, like himself, has an infinite number of lives at his disposal. 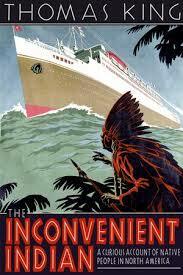 This book was an intriguing page turner with lots of twists and turns. If, in a regular thriller, the reader’s fear is that the hero may be killed before he gets to carry out his mission, that fear doesn’t apply here. If Harry is killed, it’s inconvenient, because he has to start over from scratch and go through childhood again, but he’s able to put plans and resources in place that he can use again in future lives. The real danger is not that he might be killed — but that his enemy might somehow be able to prevent him from ever being born at all. 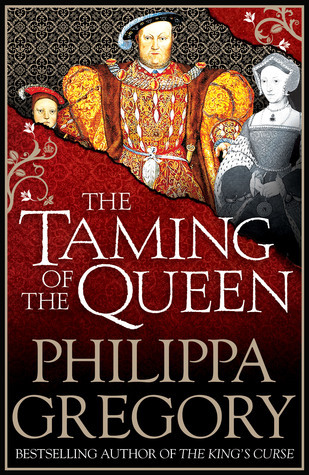 Philippa Gregory’s latest Tudor novel covers much the same territory as C. J. Sansom did in Lamentation — the last years of Henry VIII’s reign, during which he was married to his last queen, Katherine Parr. In The Taming of the Queen, Parr is the first-person narrator, an unwilling royal wife who is in love with another man and constantly aware of how perilous her position is, as the fifth wife of a man who has beheaded two wives, divorced two others, and now idolizes the one who died in childbirth, Jane Seymour. As with the last Philippa Gregory book I read, The King’s Curse, and also with Sansom’s Lamentation, the view of the aging Henry here is a very negative one — a paranoid, suspicious bully, wracked by physical and mental illness, terrorizing all around him, especially his last wife. There are some glimpses, though, of another side of Henry in this novel, of the kindness he was capable of showing to someone he approved of — as long as being kind to that person fit his schemes. After reading this book, I went back to my definitive Henry VIII novel, Margaret George’s The Autobiography of Henry VIII, and read the last chapters, which cover those same last years of Henry’s reign. As I’d remembered (and as you would expect), the story as told from Henry’s point of view portrays the king and his motives very differently, but even in George’s novel, the last year is summarized with a brief journal entry, and the notes by his fool Will Somers, suggest that Henry’s memory of those final months is quite different from the reality. Henry VIII’s behavior during those last months of his reign and his life was so erratic and irrational that even a novelist sympathetic to Henry would find it hard to depict kindly. For a novelist like Gregory, whose sympathies here are all with Katherine Parr, Henry comes across as a monster, and marriage to him terrifying. Anytime I’ve asked anyone what Leslie Vryenhoek’s new novel is about, people have always said, “It’s about debt.” Which actually turns out to be true, but makes the book sound much less interesting and engaging than it actually is. While I love a novel that has big ideas behind it, I don’t pick up a book to read about ideas; I want to read about people. 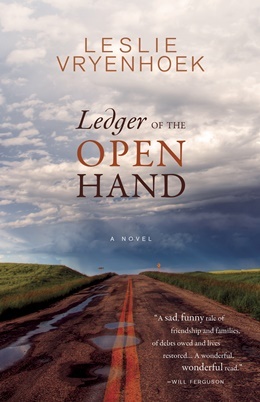 So, here’s what Ledger of the Open Hand is about, according to me: it’s about Meriel-Claire, who leaves her prairie small town to go to college in the 1980s and embarks on a lifelong friendship with her wealthy, gifted, larger-than-life roommate Daneen. Meriel-Claire thinks of herself as being a little smaller-than-life in comparison: her family, her background, her aspirations are all quite ordinary. The book is about debt in the most basic sense that Meriel eventually ends up working as a debt counsellor, but it’s about debt in the deeper sense that it explores the debts, financial and emotional, that we end up owing each other — in friendship, in romance, and especially in families. The novel follows Meriel, Daneen, and Meriel’s family through decades of life, exploring how these debts accumulate and burden us, and how free we can ever actually be. Though there were moments throughout the book when I found myself wanting to shake Meriel a little and give her a good slap, to me that’s just a sign that I’m engaged with the book and caring about the characters. I found this an engaging and enjoyable read from the first page to the last. Like many readers, I know Thomas King best as a novelist, but this foray into non-fiction was undoubtedly a success as well as an award-winner. King takes on the huge story of aboriginal people in North America and how they have related to Europeans since the arrival of white folks in the seventeenth century, though King’s focus is mainly on the last hundred and fifty years or so. This book makes no claim to be an exhaustive or scholarly history; King focuses on the stories and events that are of interest to him and will best inform a mostly-white readership about the scale of injustice that has been done to North American Indians (his choice of terminology, though some people prefer “First Nations” or “aboriginal people”). The book is immensely readable and interesting, and while I might have been more intrigued by the chapter on how native people have been represented in Hollywood than by a chapter on land claims treaties, even the material I knew little about was presented in a way that was easy to understand. King’s a witty writer, and there’s often humour in his tone here, but it’s always a dark humour, the kind of humour best used to drive home anger. There’s no doubt King is angry about the treatment of Indians in both the US and Canada, and any reader, aboriginal or white, who reads this book should come away a little angry too. 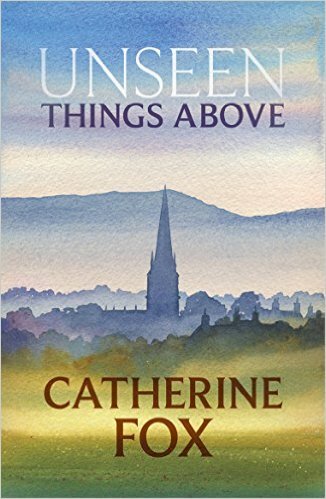 Really, all I need to say about Catherine Fox’s Unseen Things Above is that it picks up the story from her earlier book, Acts and Omissions, which was my completely unexpected favourite-book-of-the-summer, and that the sequel is just as good as the original. Once again we are in the fictional diocese of Lindchester, where an omniscient (and sometimes intrusive, but amusingly so) narrator gives us glimpses into the lives of the clergy and others who live and work around Lindchester Cathedral. Fox is quite consciously modelling this series about a Church of England diocese in the 21st century after Anthony Trollope’s 19th-century fictional Barchester novels, and my greatest hope is that with the upcoming next book, she does not conclude a trilogy but rather follows in Trollope’s footsteps and gives us at least half a dozen Lindchester novels. These rich, vividly realized characters and their inner and outer struggles inhabit a world I would happily revisit over and over again.